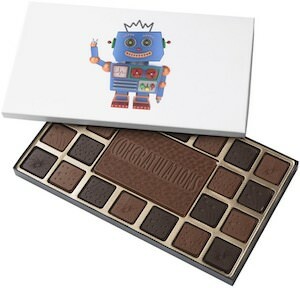 Now you can get a box of blue robot chocolates and that is just something a true geek needs. The box is white on the top and shows a friendly blue robot that is waving at you. Inside the box you will find 40 Belgium chocolates and it is a mix of milk and dark chocolate. And if you don’t like small chocolates then you can choose a box with one slap of 2 pound chocolate too. So time to surprise someone that like robots with this box of Blue Robot Chocolates. Playing video games is fun but we need to eat to. 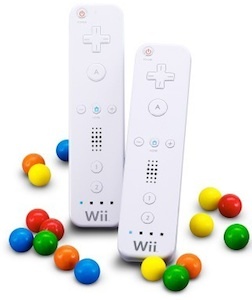 This tin that looks like a Nintendo Wii remote has gums inside. These peppermint flavoured gums are almost as much fun as playing a video game. So now it the time to stock up on some fun candy. Come check out this Nintendo Wii Remote Gum Tin. We all know those funny chocolates that have their own TV commercial. And now you can have your own red M&M as a USB flash drive. 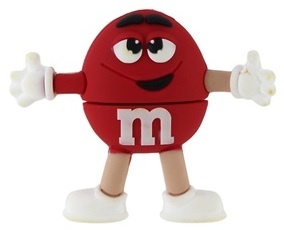 The M&M is red and his arms and legs are also part of the deal. By removing the top of the candy the USB drive will become visible. This M&M comes in a range of storage sizes to fit your storage needs. 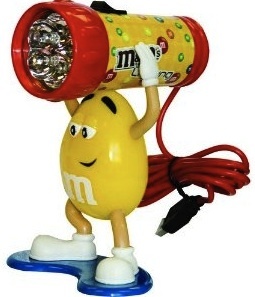 If it’s candy time then it’s time to come check out this M&M USB Flash Drive. This red M&M will make sure that you are cooled down. He will hold up a fan that you just have to plug in to the USB port of your computer. By doing so you will be fresh all day long because now you have a fresh breeze holding you and you M&M candy cool. 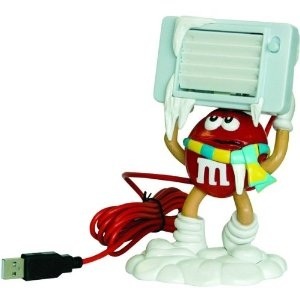 Go get your own personal M&M USB Desk Fan. If you like mints then you are gone love this tin. This tin looks like a classic Nintendo NES Controller and this one has all those nice mints inside. 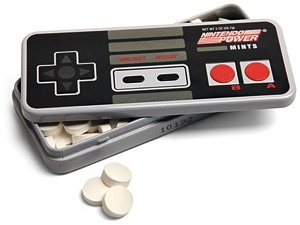 A must have for Nintendo fan boys and girls and just anybody who likes mints. Go check out this Nintendo NES Mint Controller tin. Want something fun and tasty in the office? Look no further because we found it. 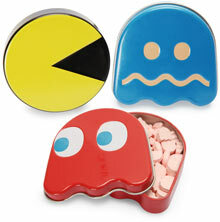 Candy tins that look like Pac Man and it’s Ghosts and of course they come with candy to so you can eat the candy and play with the candy and the tins to.